Artificial Intelligence (AI) is propelling the pharmaceutical sector by leveraging data regarding gene mutations, protein targets, signalling pathways, disease events, and clinical trials to find hidden drug-disease correlations, said an industry expert. “This technology will enable scientists to derive structured and unstructured data from multiple sources as never before. 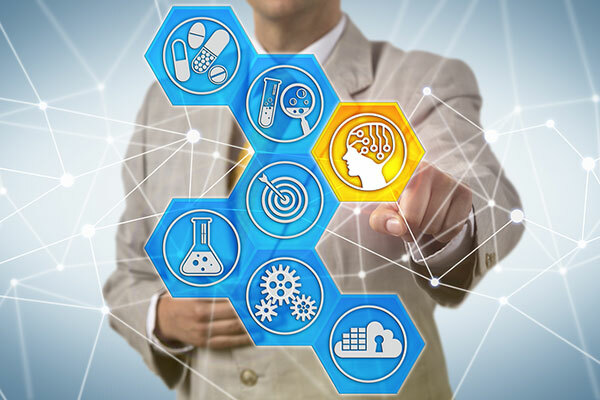 Strategic collaborations with AI-driven companies can help large pharmaceutical companies establish a robust, AI-based pipeline as part of their portfolios and address new therapeutic areas," added Cecilia Van Cauwenberghe, associate fellow and TechVision senior industry analyst at growth partnership company Frost & Sullivan. Frost & Sullivan’s recent analysis “Artificial Intelligence Revolutionizing the Pharmaceutical Industry” presents the technology roadmap, trends, capabilities, and applications driven by AI in the pharmaceuticals industry. It includes stakeholders’ activities as well as industry initiatives and analyzes the investment environment, regional and global regulation landscape, and standardization approaches for tackling challenges. AI-driven tools are encouraging companies to develop therapies for severely underserved areas and are also paving the way for precision medicine through a stratified therapeutics discovery and development approach. Collaborations among database holders, AI developers, and drug manufacturers will facilitate the early development of multiple therapeutics, even those focused on treating rare and chronic diseases. AI-based technology companies are also empowered to make the most of scientific results and learning systems synergy to ensure a successful clinical translation of therapeutic, diagnostic, and theranostic developments. • Drug development: Aids in disease modelling, drug design and development, lead identification, and drug repurposing. • Candidates’ validation: Helps design and run pre-clinical trials, in silico/in vitro/in vivo studies, and investigational new drug (IND) process. • Clinical trials: Supports all processes, from designing the trial to patient identification through data collection, analysis, and report generation. • Regulatory approval: Facilitates the approval of application and process, labelling, and safety updates. • Precision medicine: Accelerates the development of preventive and personalized care, treatment surveillance, and omics adaptive models.